Regency Towers is located on the south strand, oceanfront near 16th Avenue South. 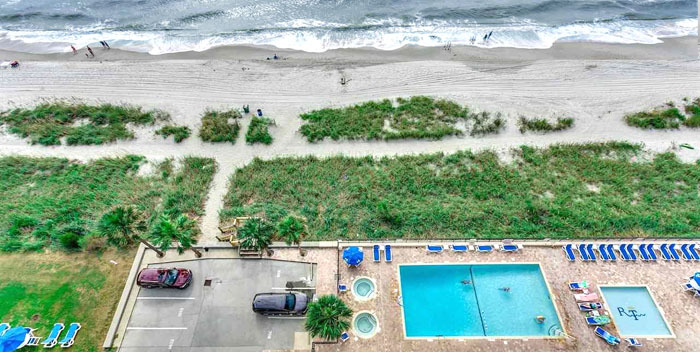 Originally built in 1974, Regency was renovated during the condo boom, and most units have been upgraded and updated even since then - offering some of the finest beachfront condos in Myrtle Beach. There are approximately 17 floors and several penthouse suites in the two-sided towers. You can expect granite countertops, stainless appliances, designer furnishings, glass showers, vaulted ceilings, with balconies in the living room and master bedroom. Regency has excellent amenities including an oceanfront pool, sauna, fitness room, arcade room, and clubroom. 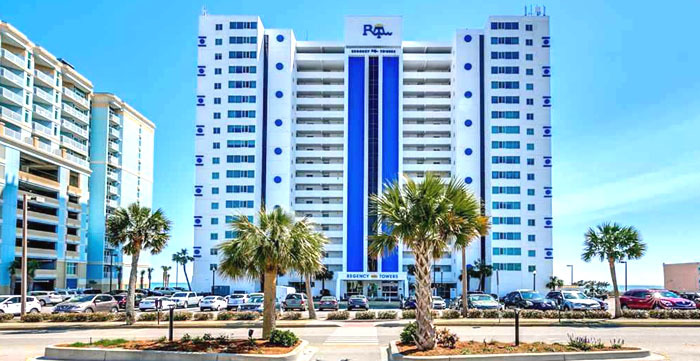 The Regency is close enough to the main drag of Myrtle Beach, yet far enough away to avoid most of the heaviest traffic, making it a good option for a primary residence as well as a vacation rental property. It's convenient to Market Common as well as the Convention Center and even Broadway at the Beach. There are two and three bedroom, 2 bath units at Regency Towers, priced from the mid $200,000's to the mid $300,000's. Owners are allowed pets, and the first floor has on-site property management and rental facilities. These are some of the nicest condos available. Call us for a tour or more information.